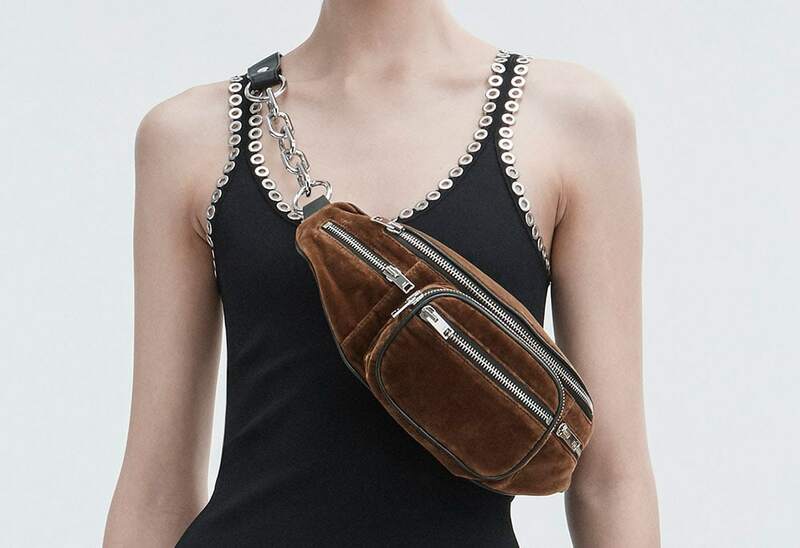 When the fanny pack trend started to explode earlier this year and we started spotting the bags on celebs, one in particular stood out immediately as a favorite of the ultra-stylish: the Alexander Wang Attica Fanny Pack. 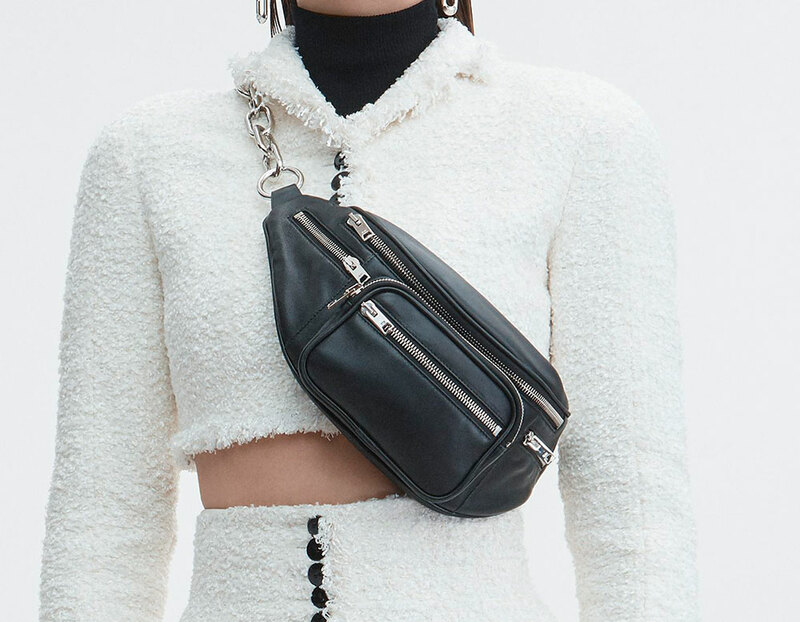 The style had been launched a season or two before anyone knew belt bags would actually become a thing, which ended up being both a brilliant little bit of trend prediction on Wang's part and a little bit of poor timing. 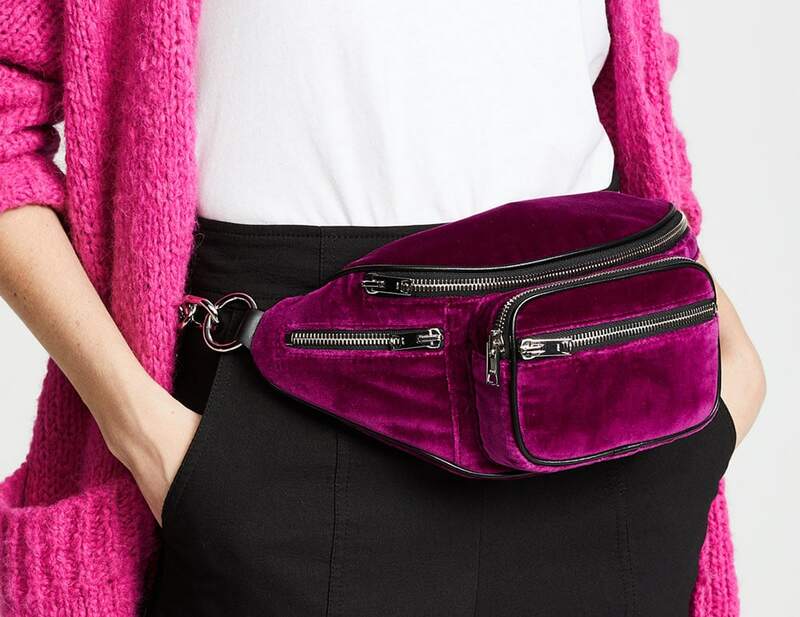 By the time shoppers were bought into the idea of fanny packs, there were no more Atticas left to buy. 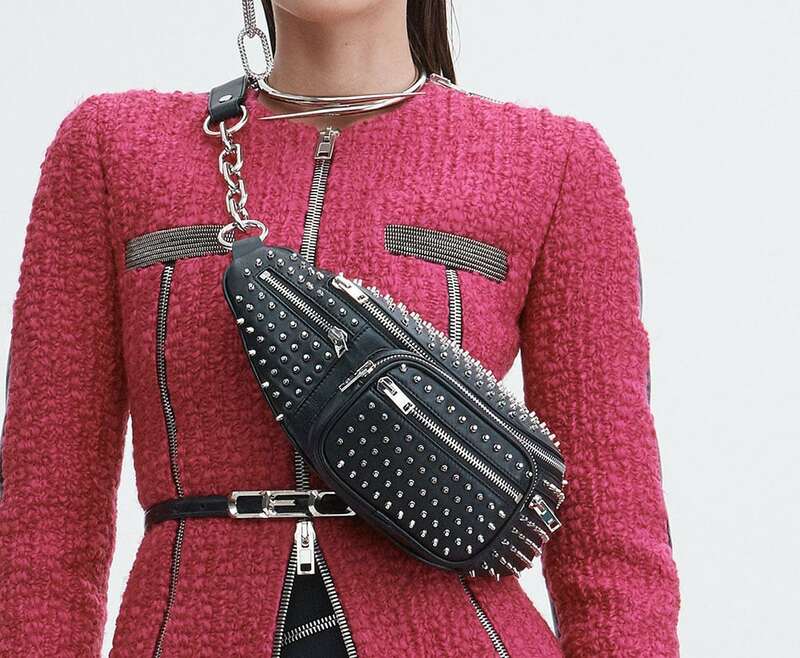 Now, though, the super-popular bag is back, and it's already starting to sell out. 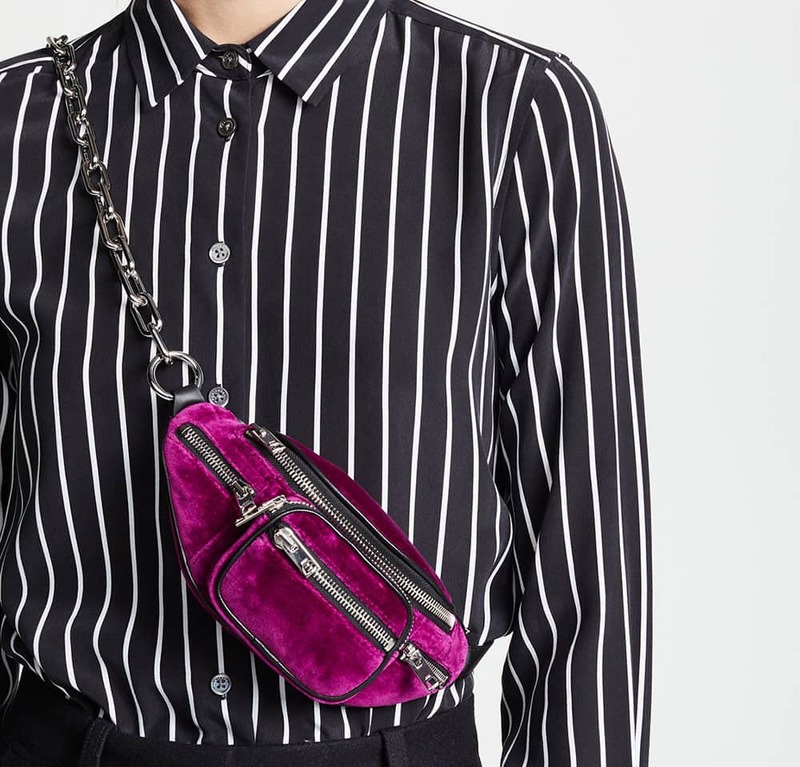 Both Shopbop and Alexander Wang's website have stock of more than a half dozen versions of the bag, although some on Shopbop's site are starting to indicate a dwindling supply. 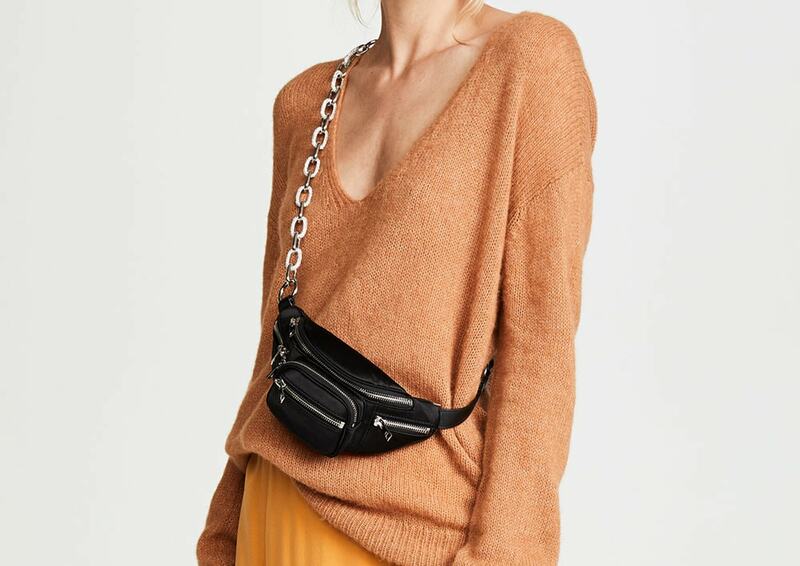 Both sites have the regular-size Attica and a new mini version, which has a long, adjustable chain strap that allows it to be carried more like a traditional mini crossbody, for those unsure about strapping a bag to their chest. 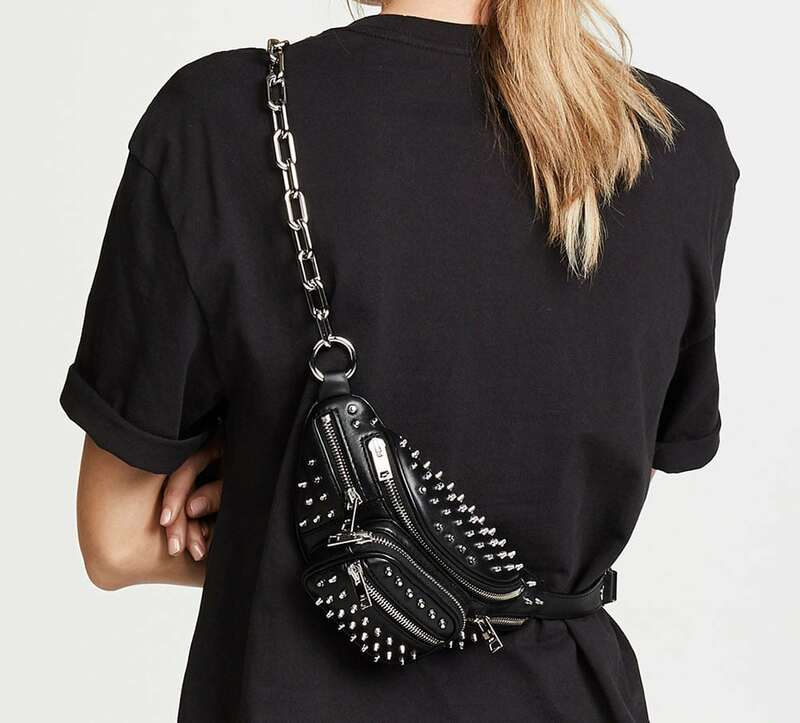 On several versions, that strap is crystal-encrusted, which I guess answers the question, what would an evening fanny pack look like? 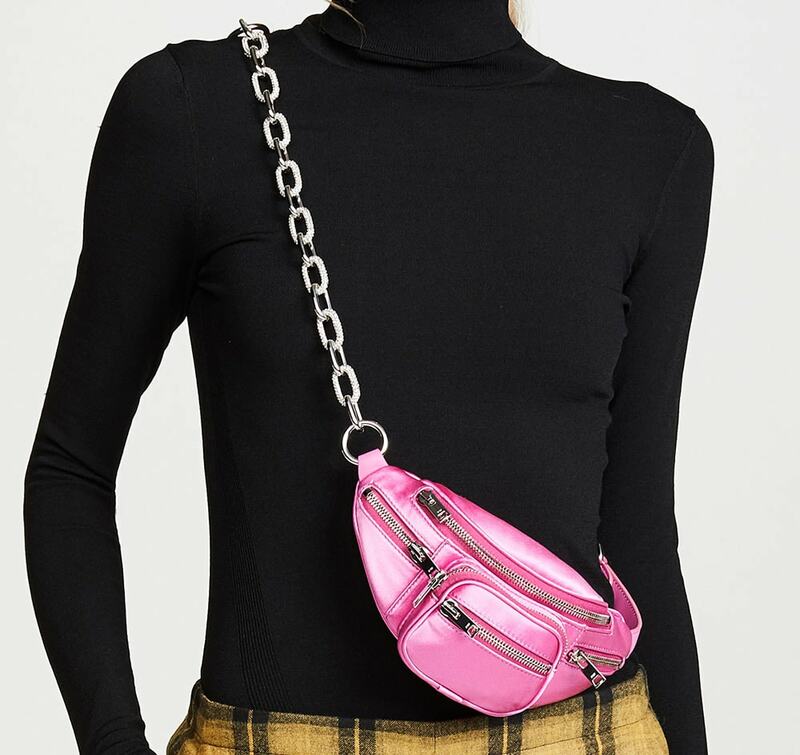 Check out the new Atticas and their prices below.